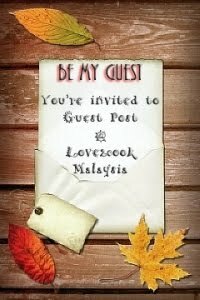 You have just reached Love2cook Malaysia's Cyberhome! I'm delighted to share recipes, be it mine or adapted from fellow bloggers/cookbooks/websites with all of YOU! Every recipe has been tested in my kitchen and presented to U together with some clicks from our Canon EOS 450D and 60D! Apart from food matters, I too record my beloved kid's activities and some personal happenings here.